Smoothies have grown very popular over the years, with fruit smoothies being at the top of the list of favorite beverages. Many people already consume fruit smoothies regularly and have praised them for their naturally sweet yet nutritious nature. In addition to being delicious and fairly easy to make, fruit smoothies have many health benefits. In this post, we’ll share some of the many benefits of fruit smoothies. A lot of people have taken to adding fruit smoothies to their diet to help with losing weight. By adding fruits such as berries, you enhance the fat burning properties of your smoothie, and some scientists have even pointed to blueberries as a tool for helping stop the development of fat cells. Many fruits have a very high-water content and because of this, adding them to your smoothies will increase your daily water intake and keep you hydrated throughout the day. You can even add more water to the smoothie to make it more refreshing. Packed with various nutrients such as dietary fiber, fruit smoothies are quite filling and drinking one or two glasses will leave you fueled up and satisfied. This lowers your cravings for unhealthy snacks and foods during the day, keeping you well-nourished and healthy. Smoothies actively suppress your cravings for sugar and replace them with natural sweetness. Fruits such as blueberries and strawberries are alkaline in nature and when consumed, they lower acid levels in your body, preventing heartburn and acid reflux. Fruits such as berries and grapes are rich in antioxidants, and when added to fruit smoothies, they make for a nutritious drink that can help to fight off free radicals that cause cancer, skin degeneration, and early aging, among other issues. 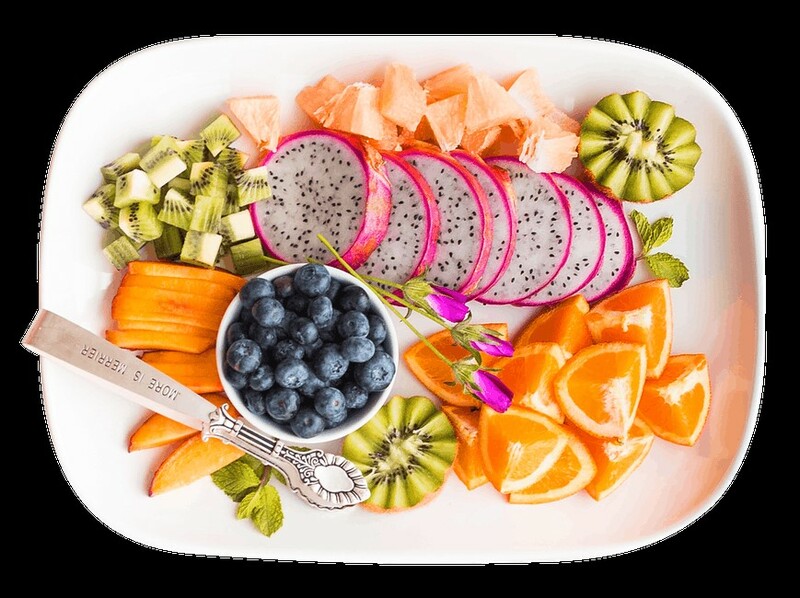 Fruits are rich in antioxidants and nutrients that have been proven to boost the body’s immune system, keeping many illnesses and health problems at bay. Fruits such as kiwis and bananas are good for treating insomnia, and when mixed with oatmeal, they provide rich sources of calcium and magnesium to boost your body’s ability to relax and sleep. Smoothies containing fruits such as mangos are rich in carotenoids that help to promote healthy looking skin, giving you a radiant and beautiful glow. Fruit smoothies have many other health benefits that include promoting bone health, providing vitamins that help to fight off diseases such as scurvy, and many more additional health benefits not mentioned here. They provide a natural sweetness that can satisfy your sugar cravings without clogging your body with unhealthy ingredients. Many people have started including smoothies in their regular diet and have praised fruit smoothies for being delicious as well as healthy. When paired with yogurt, they also provide good probiotics that help to promote the growth of healthy bacteria in your gut for good digestion, and overall, smoothies provide much-needed nourishment in your body without making you feel gassy or bloated.